“The silent tension during the operation was not affected by the instrument’s quiet humming” is a typical compliment made by doctors to the equipment manufacturer. High torque, but quiet is important in medical technology to make handling instruments a more pleasant experience. Maxon Motor Australia has introduced extremely low-noise Koax-Drive KD 32. The innovative and ideal torque conversion means that the new Koax-Drive KD 32 runs extremely quietly, even under a high load. This is an advance for all applications in noise-sensitive environments. For the ingenious inner workings of the completely redesigned gearhead, there is a patent pending. With a diameter of 32mm and a coaxial arrangement on the drive and output shaft, the Koax-Drive is also ideal for use in applications where space is at a premium. 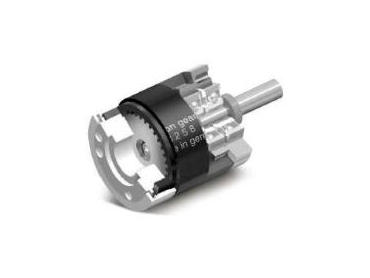 The gearhead has an efficiency factor of around 60% with a reduction ratio of 1:32. In Maxon Motor Australia’s modular system, it can be combined with several Maxon EC motors, which are optimally pre-installed at the factory. In conjunction with Maxon motors, the Koax-Drive is ideally suited for quiet handtools and equipment.